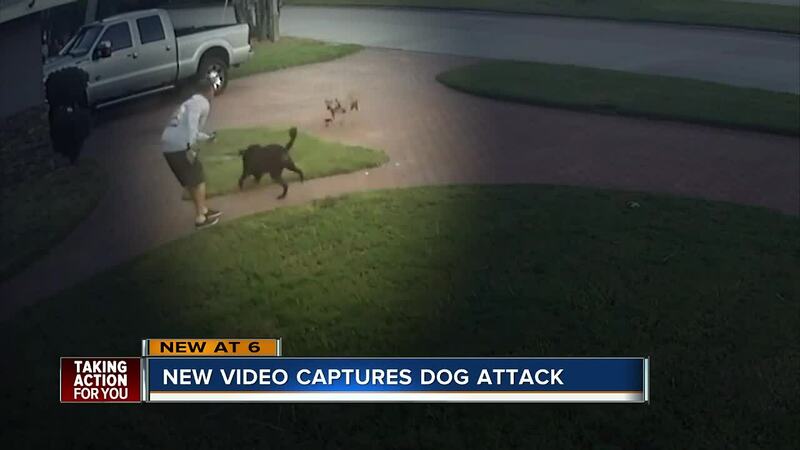 ST. PETERSBURG, Fla. — Home surveillance video captured a dog on dog attack in a St. Petersburg neighborhood as a child tried to gain control of one of the animals and break up the fight. 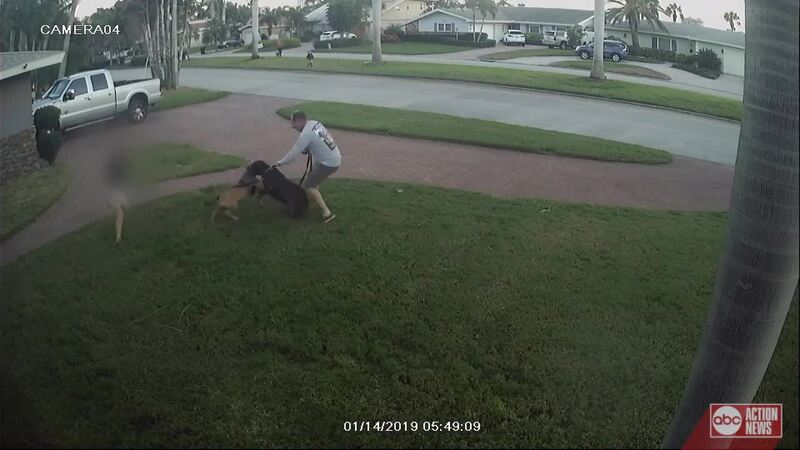 Officers with Pinellas County Animal Control say they are investigating the incident in the Yacht Club Estates after a homeowner reported injuries to a chocolate Labrador. Animal control investigators tell ABC Action News that the owner of the attacking dog says it was being walked by their grandchild when it broke free from its leash, bolting for the other animal. The investigator says the agency spoke with the owner of the brown colored dog who said they would voluntarily get a muzzle for the animal and the grandchildren can't walk the dog. Animal control plans to issue a citation for public nuisance that will be $148 but they have not been able to reach the homeowner to give it to them. They tell us they responded to the same home in July of last year with same owners, but a different dog. That case is closed, but investigators say another dog was attacked after it got away from the owner also. That time the owners received a warning letter. The Yacht Club Estates HOA President Dana Tenaglia tells ABC Action News they have received dozens of complaints from homeowners about both of the dogs. "People are afraid to go out of their car without looking," she said. Tenaglia said she doesn't have a dog, so she has not experienced first hand the complaints from her neighborhood, but says homeowners are asking how they can get the dogs muzzled. "I mean it's a big issue, it's not just a few neighbors upset with another neighbor," said Tenaglia. ABC Action News tried to speak to someone at the home but they would not answer the door, but the dogs verbally greeted us. A woman who left the house drove past us, and blew us a kiss, but refused to talk. Neighbors say they're upset something more did not happen with the dogs they say are aggressive. Animal control said since the injuries were minor, and they could not declare the dog in the video dangerous. They say in order for that to happen, an attack would have to happen more than once, or it would have to severely injure a person.